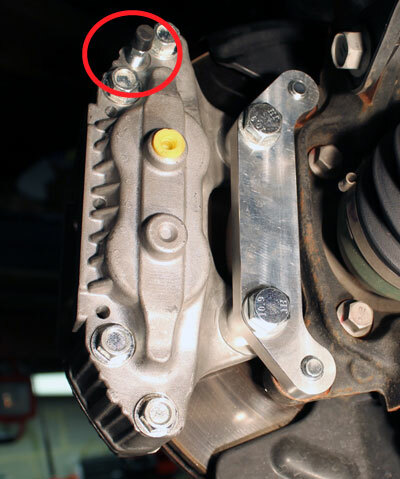 This page will guide you through the installation of Nissan Z32 calipers onto a Subaru. We used a 2015 Subaru WRX, but the process will be nearly identical on any other Subaru. 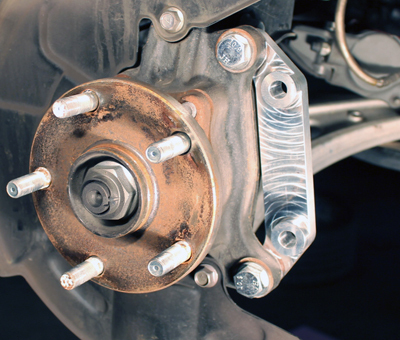 Please be sure to follow all safety precautions when installing brakes. Consult a professional mechanic. Safely lift the car and remove the front wheels and brakes. 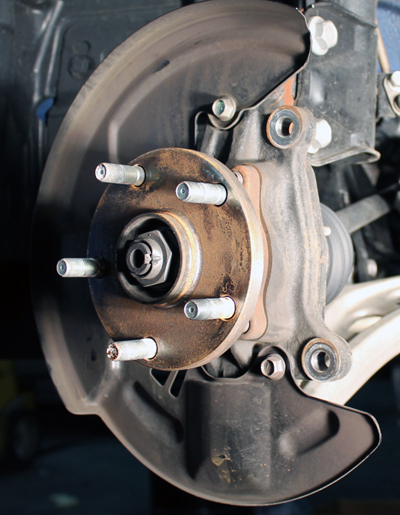 Remove the caliper, caliper bracket, pads, and rotors. To reduce bleeding issues leave the original caliper and brake line attached until you are ready to switch the brakeline to the new calipers. If you are installing these on a Subaru Legacy GT or 2015+ Subaru WRX there should be no required modification to the dust shield. 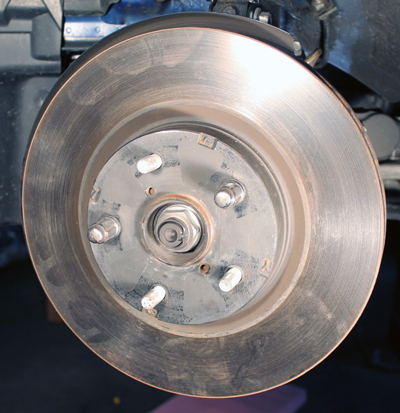 Other Subaru models may require trimming or removal of the dust shield to allow clearance for the larger rotor. Install the bracket as shown with the 35mm long bolts and lock washers. These bolts will be the shorter ones that are included with the bracket hardware. Install the front rotor onto the hub. 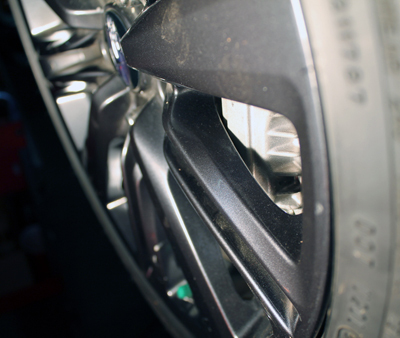 Tip: Use 2 lug nuts to keep the rotor from wobbling. 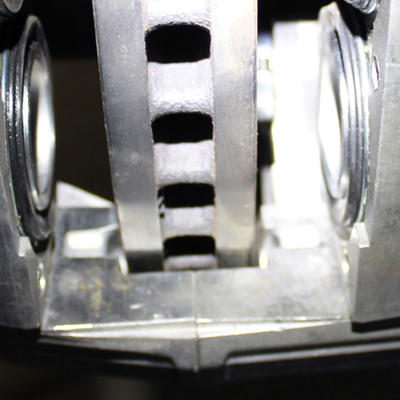 Install the caliper to the bracket as shown using the LONGER bolts and the FLAT washers. Note that the bleeder valve is located at the top of the caliper. Check your installation for fitment. The rotor must be centered in the caliper channel. Early model aluminum calipers may require clearancing at each end of the rotor channel to fit correctly over the rotor. 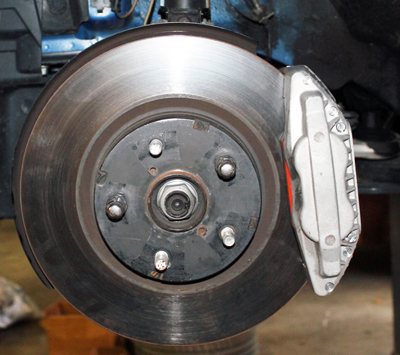 Install the brake pads and check that they correctly line up with the brake rotor. Note anti-rattle spring not installed for illustration. Double check your work and check wheel fitment. 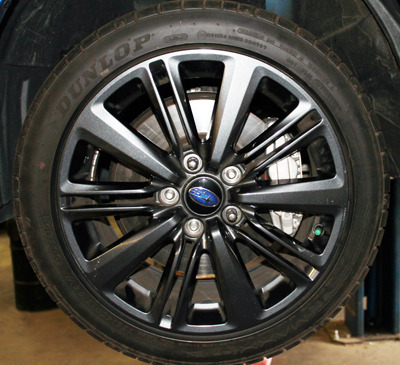 Our stock 2015 WRX wheels BARELY clear the calipers. We purchased these calipers from a local parts store and they DO NOT have the Nissan logo. 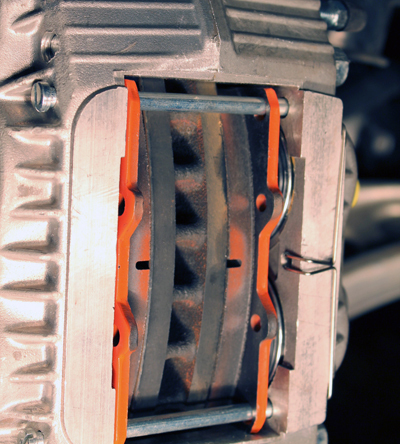 Please contact us for further questions and information regarding brake lines.